$100. Includes use of coffee urns/tea pots, stoves and cups. $200. Includes all of the above as well as, use of stoves/ovens/dishes/cutlery. Is the responsibility of the renter. · Members holding a Confederation Park 55+ Activity Centre membership in good standing for six months are eligible for discounted rate of 15% off. Inquire in the office. · Charitable organizations inquire through the office. · Refundable deposits are issued, pending damages or cancellation. There is a $25.00 cancellation fee for less than 30 days notice. · Decorations are permitted, however ONLY painters tape may be used on walls. · No nails, tacks, packing tape or lit candles. 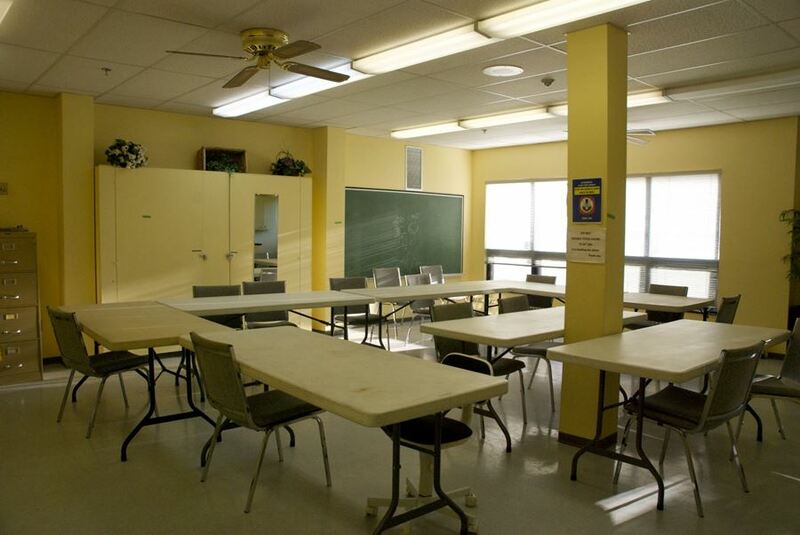 · Table are rectangular 6’ long, seat 3 each side, square card tables seat 4. · Stacking chairs are provided.